Any day now we can expect the judgement in the IMF loan suit to be announced. I have already written about the absurdity of the AG’s arguments in a previous post, “Behind Chamber Doors” (http://sonofadud.com/2012/10/01/why-wait-for-the-judgement-in-the-imf-loan-case-the-state-media-have-already-decided/). The AG has written that the IMF loan is an asset and that Article 144 of our Constitution is intended only to catch transactions that increase the government’s liabilities. I have argued that the natural and ordinary meaning of Article 144 is that both loans and guarantees require Parliamentary and Presidential approval. This is irrespective of any semantic arguments over whether a loan is an asset and a guarantee a liability. However even if the judge accepts those arguments as valid, which flies in the face of all logic and any reasonable reading of the words, there is a further telling reason why the IMF loan commitment should not be considered an asset. This is that the government will certainly lose money on it even if the money is eventually repaid. and imagine that the government is a bank (or more accurately a long only hedge fund). This is not far-fetched given the highly leveraged balance sheet shown in the annual Statement of Assets and Liabilities. 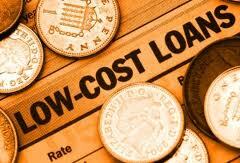 If the bank’s cost of funding is 5% and yet it can only make 2% by lending would it choose to make that loan? Like any profit-maximising firm, a bank will only lend if its marginal revenue from the incremental loan is equal to its marginal cost of acquiring deposits as well as regulatory reserve requirements. This is not a theoretical situation but one that is the reality for many of Europe’s big banks which are stuck with hundreds of billions of performing but low-yielding loans which were profitable before the financial crisis but are no longer now that the regulators have raised their capital requirements (http://online.wsj.com/article/SB10000872396390443482404578042391194789254.html?mod=WSJ_hp_Asia_EditorsPicks). The loans stay on their books because if they sold them they would have to take a big loss. If the regulators were doing their job properly they would force them to mark these assets down to the level at which other entities would bid for them, probably at a big discount to face value. Now let us return to the subject of the IMF loan. The Finance Minister had argued, in the charade of a Parliamentary debate that he conducted with a member of his team, that the IMF will pay interest on the loans. There is however no mention in the IMF communiqués of the interest rate and surprisingly the website is very uncommunicative on this. However, the IMF does all its borrowing and lending in Special Drawing Rights (SDRs) whose value is based on a basket of the four main currencies used in international trade, namely the US Dollar, the Euro, the Japanese Yen and the British Pound. The interest rate on SDRs is normally calculated is an average of the government’s (or in the case of the Euro, the ECB’s) short-term borrowing rates in the respective currencies using the weights used to calculate the currency basket. These have been very close to zero for some time (http://www.imf.org/external/np/fin/data/sdr_ir.aspx) and the rate for the week beginning October 8th 2012 is 0.08%. So the lenders to the IMF under the new facility will probably not be getting much more than this. Remember that the intention behind the IMF is not to make commercial loan but to help countries in balance of payments difficulties. They also take part in debt relief initiatives for the poorest countries like the Multilateral Debt Relief Initiative (MDRI) where the debts of these countries are written off. What is the cost to the government of making this loan to the IMF should the commitment be drawn upon? While the government would be able to comfortably fund this out of the huge surpluses it extracts from us the taxpayers, in order to calculate the true economic cost one should look at the marginal cost of funding. This is the interest rate that the government pays on CPF deposits. These range between 2.5% and 4% currently. In my calculations of what the theoretical level of reserves should be (http://sonofadud.com/2012/09/07/where-have-our-reserves-gone/ and http://sonofadud.com/2012/09/25/an-unappetising-picture/#more-1047) I assumed that government debt was costing 3.5% per annum. That may be a bit on the high side because I wanted to be as conservative as possible in calculating the theoretical level of assets and therefore deliberately assumed a high cost of debt. However even if we reduce this to 3% that would still imply that the government would be losing about 3% p.a. on the IMF loan. That is assuming that the SDR remains stable against the SGD. In fact, over the last ten years, the SGD has appreciated by 25% against the SDR basket which implies an additional cost of just over 2% per annum (assuming that Singapore’s loan would not be hedged). For simplicity I have left out any potential foreign exchange losses or hedging costs out of the equation. A rough calculation of the present value of losing 3% per annum for ten years, assuming a 5% discount rate, would be of the order of 23% of the loan amount. If we used instead a 10% discount rate then the notional present value of the losses falls to about 18%. If the government was prudent it would take a provision on the liability side of its balance sheet of at least 20% of the IMF loan amount. Given the differential between what the IMF pays and its marginal cost of borrowing this is the amount it could expect to lose even if the IMF repays the loan. However as Tharman has himself admitted the loan is likely to be consolidated as part of an increase in Singapore’s quota at the IMF. In that case it will never be repaid. Tharman’s argument that we can draw upon our quota if we need to borrow is frankly specious. It is like saying that we give to charity because we can draw upon the charity’s resources if we become homeless one day. Despite the AG trying to confuse the court by pretending that there is a fundamental difference between the IMF loan commitment and the IDA promissory note it would appear that it is only one of degree. While the IDA promissory note may be an outright grant, the IMF loan commitment is not a commercial loan. It is a concessionary facility granted at below-market interest rates and one that is more in the nature of a liability than an asset since it entails more or less certain loss. CPF holders should be worried. Obviously any bank that pays more for its deposits than it receives on its lending is in the business of going out of business. That is how several famous banks have ended up bust. There may be no immediate danger and the government will presumably raise taxes long before it happens, which is why the PM keeps talking about the need for tax increases. However, only simple arithmetic is needed to show that if the government earns only 2.5% or less on its assets while it pays 3.5% on its liabilities at some point liabilities will exceed assets. Therefore we can expect higher taxes and/or cuts in CPF rates accompanied by more onerous conditions on withdrawal. The first point means that, even on the AG’s simplistic arguments, Article 144 should definitely apply to the IMF loan. The second point is that the government’s investments in general seem like a practical illustration of that old joke about how to make a small fortune in banking: start with a big one! It seems that not only the Government but IMF too has to be accountable – in this case, also to the citizens of Singapore simply because it is Singaporeans’ money. Joseph Stiglitz – Chairman – Council of Economic Advisers and Chief Economist World Bank: The International Monetary Fund (IMF) is a public institution, established with money provided by taxpayers around the world. This is important to remember because it does not report directly to either the citizens who finance it or those whose lives it affects. Rather, it reports to the ministries of finance and the central banks of the governments of the world….International bureaucrats – the faceless symbols of the world economic order – are under attack everywhere. Formerly uneventful meetings of obscure technocrats discussing mundane subjects such as concessional loans and trade quotas have now become the scene of raging street battles and huge demonstrations… Virtually every major meeting of the International Monetary Fund, the World Bank, and the World Trade Organization is now the scene of conflict and turmoil.